Testosterone therapy is all the rage these days, promising renewed vigor and sexual energy to older men: millions of men now undergo the treatment to remedy low testosterone levels (often associated with fatigue, low libido and moodiness) and/or to combat the normal symptoms of aging. Treatments for low testosterone now represent an estimated $2 billion-a-year industry in the U.S., according to the The New York Times; and, in the course of just over ten years, prescriptions have seen a five-fold jump. Drug companies market Low T supplements to ease symptoms like a decrease in life satisfaction or even “a recent deterioration in your ability to play sports.” But emerging research is showing that testosterone treatments may create problems of their own, including an increased risk of heart attacks. To be sure, in cases where aging has signaled the onset of osteoporosis, reductions in muscle mass, psychological issues and coordination problems, Low T therapies have often provided much-needed relief. But a growing spate of troubling reports from patients who have undergone therapies to increase testosterone levels, via various injections, skin gels, skin patches, and oral patches or topical solutions in the arm pits, now may dampen enthusiasm that “Low T” therapy is a safe panacea for the ills of aging. And, to make matters worse, doctors are often prescribing testosterone replacement drugs in cases where there is no clear medical necessity for their use, and where blood tests might establish some propensity for heart or stroke problems. Initial studies by reputable institutions have begun to confirm these reports. A recent study by the National Cancer Institute, for example, finds that patients undergoing testosterone therapy effectively double their risk of experiencing a cardiac event within 90 days of beginning treatment. Another study, this one published in November 2013 by the Journal of the American Medical Association (JAMA), links Low T therapy to higher likelihoods of stroke, heart attack and death in older men with pre-existing heart issues; the same study indicates a 30 percent rise in risk for stroke, heart attack and death in men aged 60 and older who have taken testosterone supplements. A still more recent study by PLOSOne only amplified these results, finding that older men were not alone in putting their heart at risk by undergoing testosterone therapy; younger men also, whether or not they had a history of cardiac trouble, doubled their risk of heart attack. This recent surge of studies all pointing to heightened risks of heart attack other problems has prompted the U.S. Food and Drug Administration (FDA) to launch a formal investigation of testosterone therapy drugs such as AndroGel and Axiron, with the goal of re-evaluating their safety. 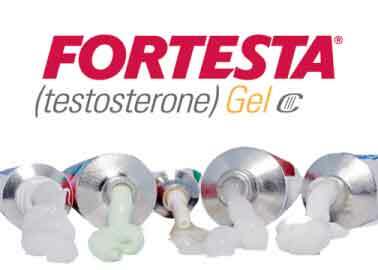 Testosterone therapy—signs of manufacturer negligence? Mounting evidence suggesting damning links between testosterone therapy and heart attacks and strokes begs a question: should drug manufacturers be held more accountable for the information they distribute to the public about these testosterone replacement drugs? ; and does this disturbing data warrant—if not demand—further action on the part of these manufacturers, such as more careful, detailed labeling of drugs like AndroGel? In the case of AndroGel, for example, the current warning label makes no mention of potentially serious cardiovascular complications. With the FDA’s review now formally underway, these labels as they currently read may constitute manufacturer negligence and may need to change—soon. The first lawsuits related to AndroGel and other Low T therapy drugs are only now beginning to trickle in. Given the widespread use of Low T supplements, these cases are likely the first of many to come, so that the “trickle” will soon become a steady, even gushing flow. In February 2014, five plaintiffs filed testosterone lawsuits: three of these are claiming to have suffered heart attacks after starting Low T therapy; one alleges he suffered a stroke, and another a mini-stroke because of AndroGel. The plaintiffs are taking the Chicago-based drug manufacturer Abbot Laboratories to task for (as they allege) deceptive and negligent marketing of AndroGel.